Makenzies Miracle: Florida Here We Come! Well to day was a crazy but beautiful day! We started the morning with a bit of PRESCHOOL! Makenzie will be starting preschool next fall through Child Find. We went today to visit a school near our house to see if it woulld be a good fit for her. I think it will be GREAT! We are going to go back next weel to observe some more but from the looks of it the program is very therapy based and also would provide the social interaction that I hoped to find! I am very excited. All of the staff was very kind and seemed very good at working with these special kiddos! Next we had OT. Makenzie was pretty cranky and didn't want to sit and eat at all! It was however after 12 noon and that is a bad time of the day for her! So we took a nap! However befor we laid down a wonderful gentleman from Discount Tire Co called and gave us the go ahead on the Suit therapy in Ft Lauderdale, FL! Yeah God! So I got Makenzie to sleep and started the process of pulling together a 3 week long trip starting on May 4th! :ong story short I managed to get a flight from Miracle Flight (a small undertaking! )(Thank You Pediatric Pathways for filling out paper work so quickly on such short notice! ), Confirm her spot with Therapies 4 Kids, and tie up a buch of other odds and ends! WOW! What a busy 2 hours that was! Then we moved on to PT. She did GREAT!!!!! I misseda a good part of this because I was working on details for the trip but her therapist had her in all fours and she was hoping like her brothers! Well of course I missed it! Oh well! She also used her feet to kick a toy on a hang mobile many time and she would smile and was so proud of herself! So we decided to put it over her head and see if she could get it with her arms. She DID!!! Numerous times! We put it pretty low so it wouldn't be too hard and she looked at the toy and reached up to hit it! I am so proud of her!! Thank You Jesus! You are so GOOD! 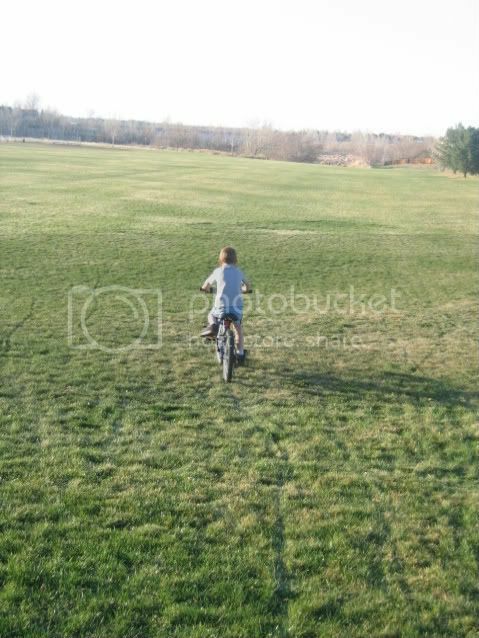 After therapy we took a walk to the park and Kaleb learned how to ride his bike!!!!! His grandma bought him a new bike for his birthday which by the way is today! My baby boy is 7 already!!!! We also played a little baseball and then it got windy so we headed home for dinner, baths, and bed! WOW! I think that is it! 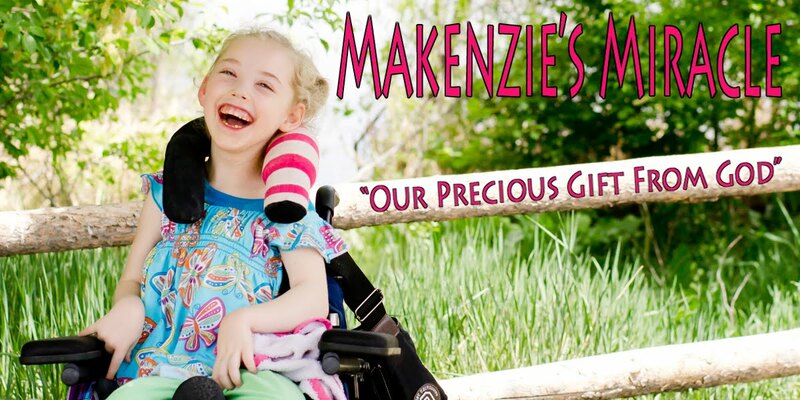 Keep praying for Makenzie. Pray that our trip comes together and that everthing goes smoothly in FL and here at home!!! !